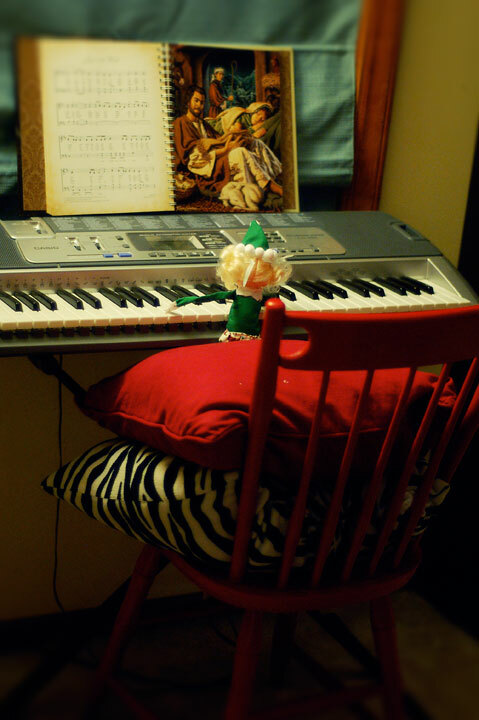 Twinkle propped herself up to play some favorite Christmas songs on our keyboard last night. Have you seen the LDS Christmas Songbook? It is one of my favorite things, with hymns and traditional carols alongside their history and beautiful artwork. This entry was posted in Christmas, elf on the shelf. Bookmark the permalink. I had no idea they made an LDS Christmas song book, but it looks beautiful! thanks for mentioning it!